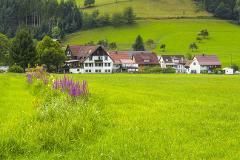 Leave Colmar for the Alsace countryside and visit some of the most beautiful villages of the area. your tour in Kaysersberg with a guided walking tour and some free time for personal discovery. The Village of Kaysersberg was elected "Preferred Village of the French" in 2017 during a famous TV show in which 13 villages among the most beautiful of France competed to obtain the prestigious title. 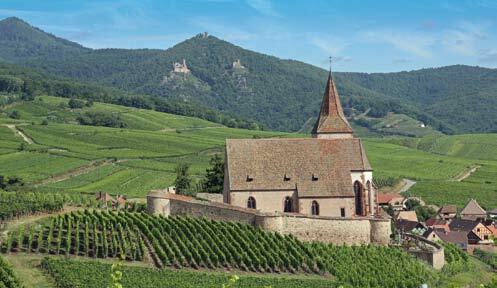 Kaysersberg, representing the Grand Est region, was the second village in Alsace to be granted this honor (after Eguisheim in 2013 - village that you can visit on our half day Wine Tour from Colmar). The highlights of the village include remarkable architecture, a unique Medieval charm, its location set amid the Alsace vineyard - in short one of the most picturesque villages of Alsace! 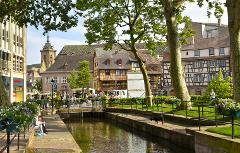 Arrive in Riquewihr for a guided walking tour of this magnificent small town. Surrounded by ramparts, the village has been very fortunate to survivewar and destruction. Its tiny streets, fortified walls and old houses have preserved their 16C splendor virtually intact, making for remarkable architectural harmony. Finally, reach Hunawihr a village known for its numerous artisan shops and multiple cultural landmarks. 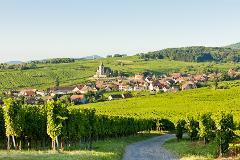 Situated along the Alsace Wine Route, the Village is classified as one of the Most Beautiful Villages of France. This charming, typical Alsatian village boasts numerous architectural treasures and unusual sights: 16th century houses, a 15th/16th century fortified Church and cemetery that overlook the village and that could eventually serve as a refuge during attacks, a Renaissance Town Hall and so much more.